Posted by santos. This entry was posted on 20050401 at 1:01 AM You can skip to the end and leave a response. hi babe! how are you? we don't get these very often, but when i do, i try to make the most of them. when i'm in california, they are around a lot more, so i use them with other oranges to make juice. the flavour is great, and the colour is crazy! Your segmenting technique is fantastic! Can't wait to try it. 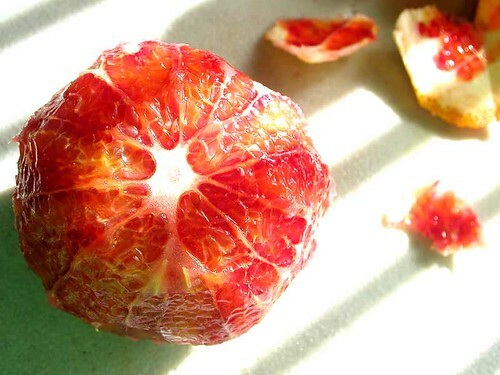 I'm nuts about blood oranges when I can get them -- but my latest discovery is the pink Cara Cara orange. Have you ever had these? I'm gonna post about it soon. 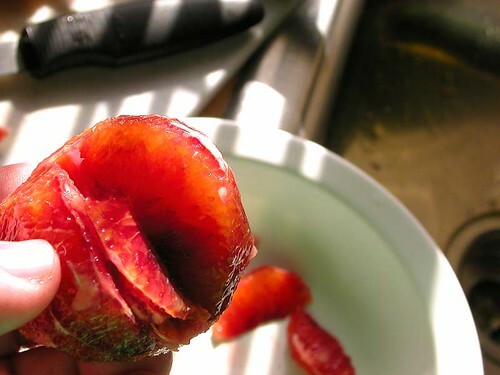 It's totally amazing. hi julie! i have some cara caras in my fridge right now :-) i'll be looking out for your post though, as i haven't tried them yet. i first saw mary sue milliken from border grill do this technique on one of her shows, and i've been fascinated with it ever since. 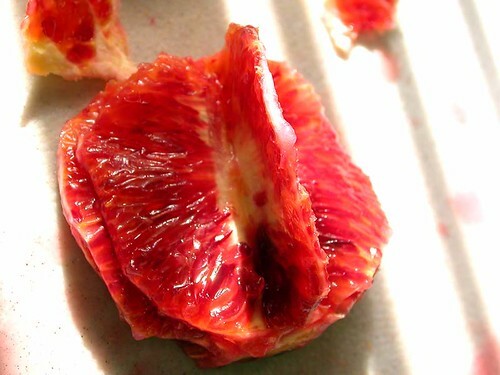 i mean, i never really thought about those denuded slices of citrus, did you? Why didn't I think of this? 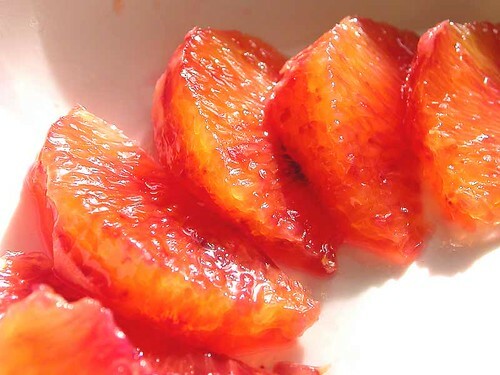 I have avoided a wonderful beet/orange salad recipe just because it took me SO long to peel those sections! My Chef posed a brain teaser question to me the other day. 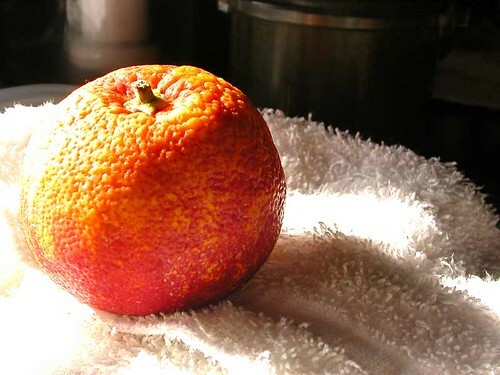 What is the middle of the orange supreme called, the left over rind. 3 letter word. I can only think of Pith, but that is 4 letters and wrong. Any Suggestions?